Despite five years spent within a mile of Pullen Park Terrace, earning an Engineering degree from NCSU, my first visit to the neighborhood was to pick up a date. Turning off Western Boulevard, I still remember my first thought — “Bilyeu Street? Who or what is a Bilyeu?“ Then, I began noticing the houses. Each was unique, no two remotely the same. I would visit Pullen Park Terrace dozens more times after that first date. Despite the endless quizzing endured by my future wife about the history of her house and the other houses, our relationship flourished. I got to know the neighbors and, frankly, loved the neighborhood. After a lovely courtship, I was married in April of 2012. A few months later, I left the numbing sameness of my North Raleigh subdivision behind and became a resident of Kirby Street. No sooner had we sent our wedding thank-yous, than my history affliction drove me to begin researching when my new home was built. I discovered the excellent online resources provided by the Wake County Register of Deeds. The rest is quite literally…history. I find it fascinating, and strangely comforting, that the land on which we live has always been there, at least for as long as “we” have been living on this planet. As I walked Kirby and Bilyeu streets, roamed the Dorothea Dix property, and studied the many interesting houses, I wondered who and what was there before I came. 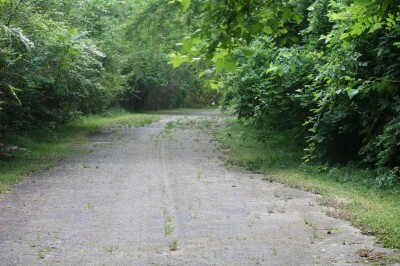 The land on which Pullen Park Terrace sits today goes far back in Wake County history. The 7-acre parcel appears to have been carved out of a much larger tract owned by Richard Stanhope Pullen, well known for donating the land for NCSU and Pullen Park. Neighboring parcels are an interesting mix — Dorothea Dix Hospital, NCSU’s Centennial Campus, the Catholic Diocese of Raleigh, Central Prison, and The Governor Morehead School. 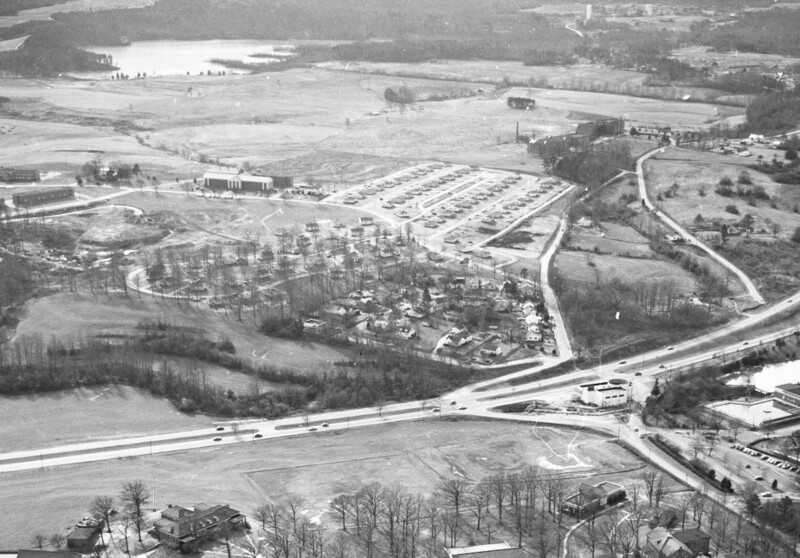 In this 1952 aerial photo, Pullen Park Terrace is center and foreground. Central Prison is right, top, Pullen Park Pool is left, middle, while the Governor Morehead School lies in the center of the photo. 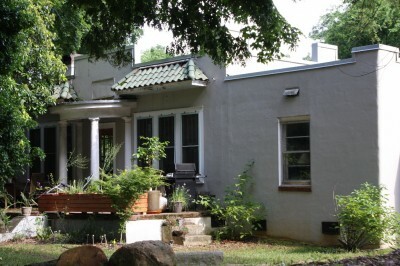 The journey from farmland to Pullen Park Terrace began when B.W. 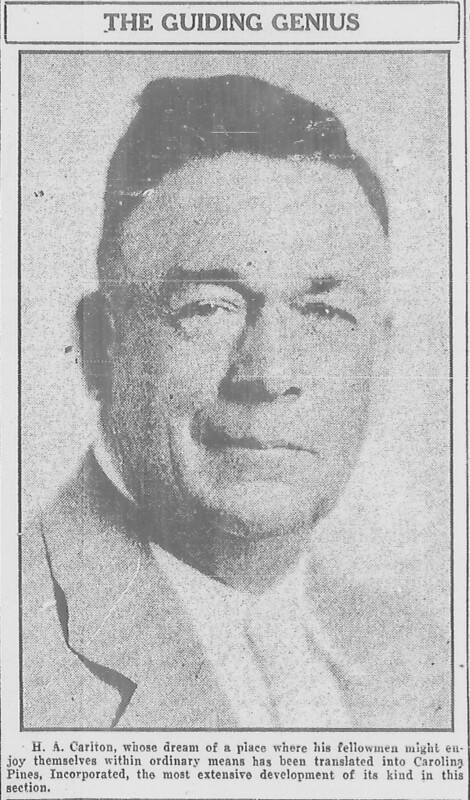 Jones sold his seven acres to Herbert A. Carlton in 1924. Mr. Carlton hired local surveyor L.E. Wooten to lay out Pullen Park Terrace, the first map of which was produced in October 1925. The original plan shows a staggering 68 lots, yet the neighborhood today holds about one-third that many houses. 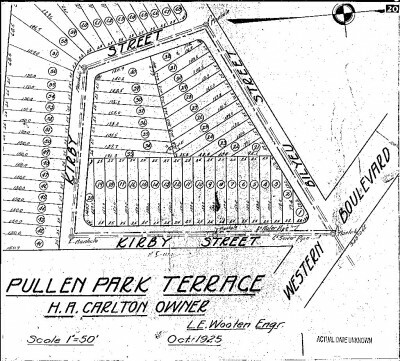 The original plot plan for Pullen Park Terrace, as recorded in the Register of Deeds. Note the narrow frontage on the 68 lots. Also interesting is the three way intersection with Western Boulevard. The seemingly dangerous intersection with Western had been realigned by the time of the 1952 aerial photo. Walking the neighborhood, one does not see 68 houses — deed research has shown that every house was situated on at least two, sometimes as many as four, of the narrow lots. Back to my original wondering — “Bilyeu” and his, her, or its, street. According to the Wake County Register of Deeds, Harrison Bilyeu bought just over six acres on Avent’s Ferry Road in 1887. Harrison was from Pennsylvania, served in the Union Army during the Civil War, and died in 1901. As a veteran, he was interred in Raleigh’s National Cemetery. By 1904, Harrison’s widow Annie held the deed for more than 16 acres. In December of that year, Annie sold the land to W.T. O’Brien, who worked for the Washington Duke and Sons tobacco factory in Durham. O’Brien was a prominent Catholic in Durham who later donated land for what is now the Immaculate Conception Church. O’Brien sold his holdings in West Raleigh to “The Apostolate Company”, which gathered the parcels which would later include the Catholic Orphanage, the Nazareth Post Office, and Cardinal Gibbons High School. Between 1907 and 1925, the northern terminus of Avent’s Ferry Road became Bilyeu Street and Avent’s Ferry Road itself was realigned a few hundred yards west and renamed Avent Ferry Road. 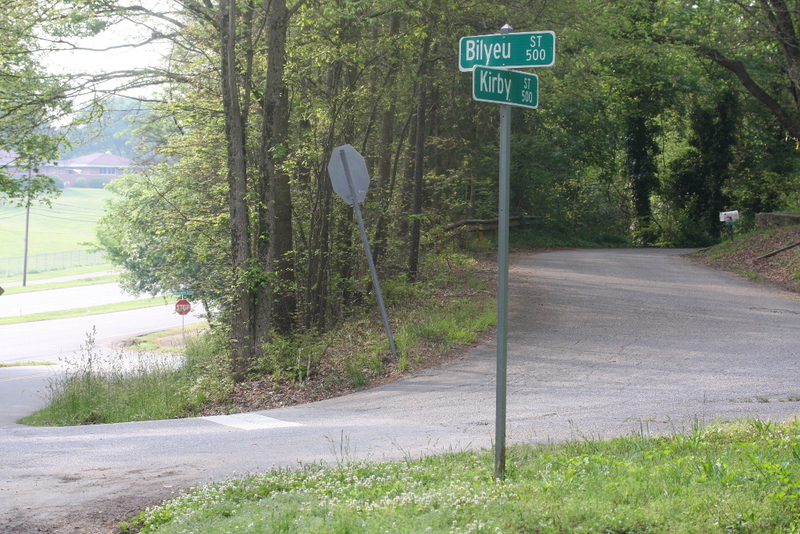 The “old” Avent Ferry road, after its realignment west of Bilyeu, joins the current Raleigh City Greenway. The Rocky Branch Trail, pictured in the background, runs along Western Boulevard. From the 1952 aerial, you can see that Avent Ferry Road was once again realigned to the present-day configuration at Mission Valley. In uncovering the mystery behind the name Bilyeu, I was delighted to uncover Avent Ferry Road’s lineage, or at least a part of it! What we all know as today’s Avent Ferry Road is in at least its third alignment with Western Boulevard since 1924. Kirby Street, on the other hand, has not yet yielded a clear story. While the name likely pays homage to Dr. George Kirby, superintendent of the State Hospital of Raleigh (now known as Dorothea Dix), I have not found any clear proof. The Kirby Building on the Dorothea Dix campus was completed in 1924, another potential contributing factor to Kirby Street’s name. 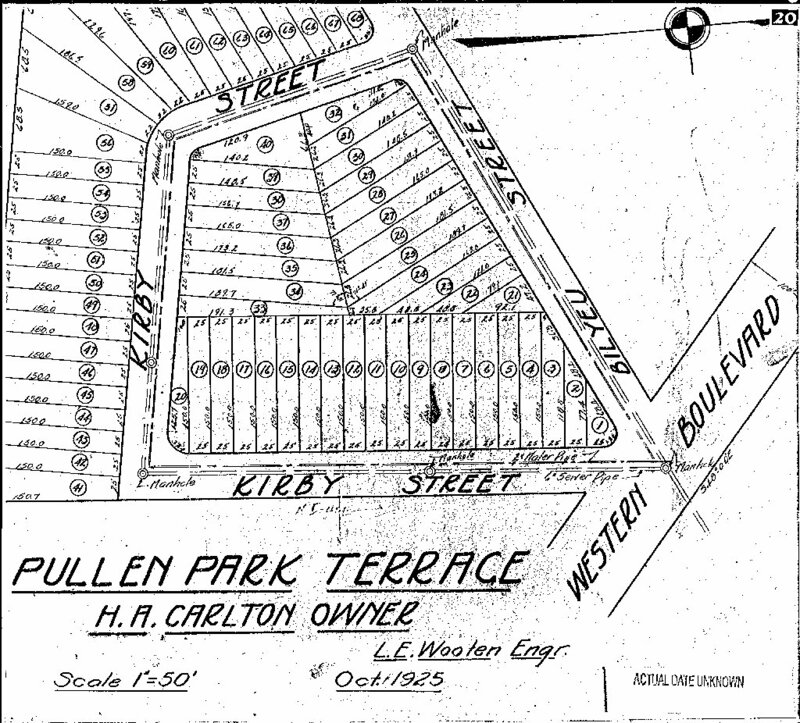 Given that the street did not exist before the 1925 plot plan for Pullen Park Terrace, Mr. Carlton, or one of his partners, likely chose the name. What inspired them, we may never know for certain. My interest began with my “new” home. Being the oldest home I have ever lived in, I was curious to know when it was constructed. The Wake County Tax Office provided an answer — 1928. However, being historically inclined, I wanted proof. To make a long story less long, the first deed for my new home’s property was in 1939, while the oldest tax bill I could find was 1942. Not very convincing documentation for a 1928 construction year! Believed to be the first home in the neighborhood, circa 1928. I turned my attention to what my neighbors generally agree is the oldest house in the neighborhood. There were deeds for the lot going back to 1926, but the only proof I’ve found of an actual resident is the 1930 census. So, with land development beginning in 1925 or 1926, that first house was probably built around 1928. 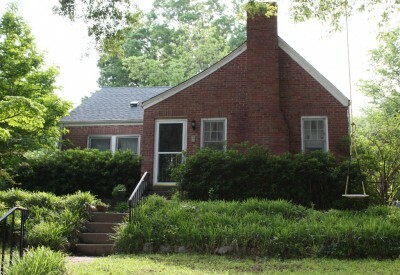 A well-preserved example of one of the original homes, built sometime prior to 1938. At some point, all the homes must have been tagged with 1928 as their “year built” in the tax records. While that research narrowed it down a bit, I was still not quite satisfied. Frustratingly for my research, deeds rarely mention buildings, but only land transactions. I needed some other way to determine when my house was built. 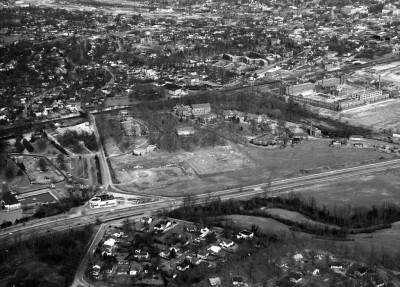 Enter our favorite blogger, RaleighBoy — who just happened to find historic aerial photos of my neighborhood. 1938 aerial view of Pullen Park Terrace. As you can see, there were only four structures visible in 1938; my new home was not one of them! Also interesting is the view of the old Pullen Park Swimming pool (center, top), and what appears to be the then “new” Avent Ferry Road, which intersects Western Boulevard in the upper left. The two houses pictured earlier are also shown here. The circa 1928 house’s flat roof is visible in the lower center, while the green house is the middle one of the three houses in the left center of the photo. While I have still not proven when my house was built, I now know for certain it was not there at the time of this 1938 aerial. The search goes on. In 1938, the neighborhood was still reeling from the Great Depression. The deeds of that era paint a sad picture of loss. H. A. Carlton was declared unfit to manage his affairs and his wife Kathleen became his legal guardian. Deed after deed shows foreclosures and public auctions. Mr. Carlton’s other major project, the Carolina Pines Hotel (opened in 1933), also went under during that period. Herbert Anderson Carlton, from a July 23, 1933 News & Observer special insert about the opening of the Carolina Pines Hotel. Following World War II, the neighborhood, like much of Raleigh, blossomed. Again, thanks to RaleighBoy and the State Archives of North Carolina, I was able to get aerial photos from 1952. In the fourteen years between aerials, many houses were constructed, including mine. The deeds settled into more predictable patterns as folks moved in and out, died and left lots to their children, or bought and sold rental properties. This photo shows Pullen Park Pool in the right foreground, while Pullen Park Terrace fills the center. The Council Building on the campus of Dorothea Dix can be seen just left of center, with Lake Raleigh near the top left. The current configuration of the Bilyeu-Western intersection is visible as well. 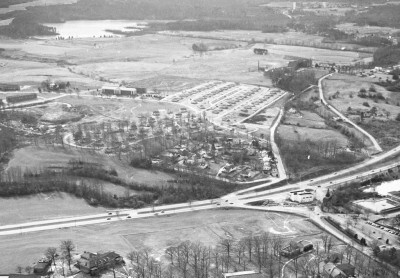 The 1952 “old” Avent Ferry Road stretches southward towards Holly Springs on the right side of the photo. 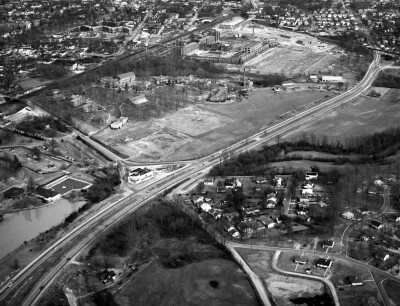 1952 aerial, with Pullen Park Terrace to the right and just below center. Pullen Park Pool is visible in the left center, Central Prison at upper right. Today, I call Pullen Park Terrace my home. Neighbors walk their dogs, stop to chat, look after each other’s homes, and do all the things you’d expect from a good neighborhood. 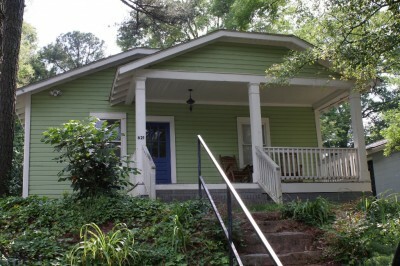 But beyond that, Pullen Park Terrace’s deep historical roots are complemented by a flourishing creative class. As the Uncovering SouthWest Raleigh intiative continues to promote a healthy and creative development strategy for the area, which many have taken to referring to as the “Creative District“, my neighborhood is ready to pour on the creativity. 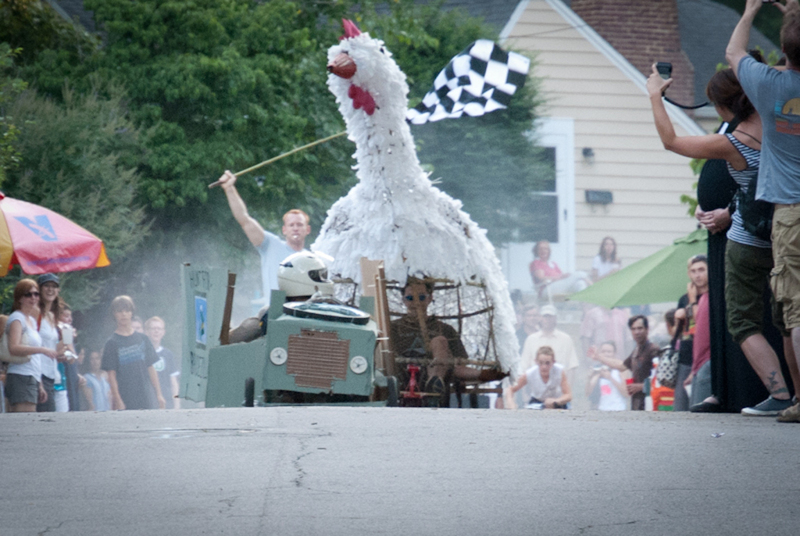 Each year, the neighborhood hosts “Kirby Derby Day”, a soapbox derby race, of sorts. 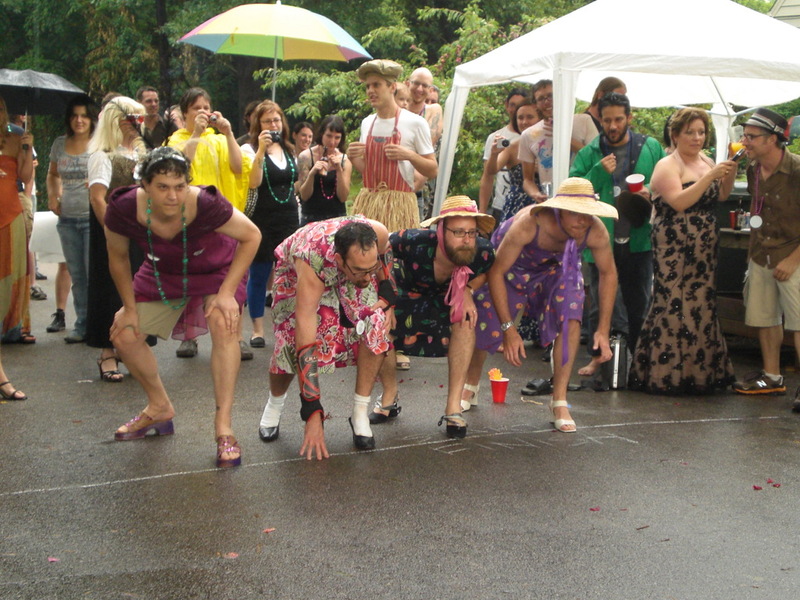 Our neighborhood comes together to have fun watching “cars” fly down the substantial hill provided by Kirby Street, and into the now-famous “Dead Man’s Curve”, site of many a spectacular crash. Although I’ve now discovered a bit of the neighborhood’s 88-year formal history, I’m still searching for more — more about the people who lived there. Stories of hopes, dreams, loss — the kinds of stories that don’t lie within deeds or census records. The historian in me will keep searching. Some of those searches will no doubt become Goodnight Raleigh posts. As change laps at the shores of our little community, I wonder what the next 88 years will hold. What will happen with the Dix property? At this writing, the State Legislature is considering a deal that would add the Governor Morehead School property to the mix. How will the Diocese of Raleigh’s new cathedral affect us? NCSU’s Centennial Campus continues to swell nearby. Since 1925, Pullen Park Terrace has been somewhat an island in a sea of change. While Dorothea Dix once surrounded much of the neighborhood, Centennial Campus now occupies much of the land. The Catholic Diocese closed its orphanage in 1977, relocated Cardinal Gibbons, and recently demolished the Bishop’s residence, Little Maryknoll, on Bilyeu Street. Little Maryknoll, former home to the Bishop of the Diocese of Raleigh, was located just across Bilyeu Street from Pullen Park Terrace. 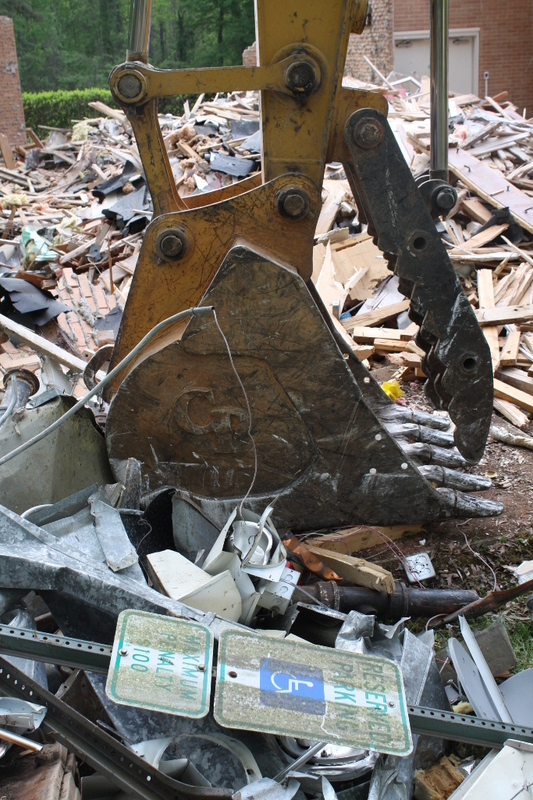 It was razed in April 2013. Change swirls all around us. Yet I find comfort in the old homes, the old street names, and the long historical record. Something willed the people who call this place home to endure 88 years. I, personally, am proud to be a part of that still-evolving history and proud to call Pullen Park Terrace home. Is that my house in the aerial view of 1938 ? Ms. Hendricks always told me her house and mine and the brick house (pink house) were the only ones in the neighborhood for a time. I always wondered if that we’re true. Obviously, our house is about the same age as the green one. Thoughts, answers ;)let me know. Thanks. Excellent! Ride by this neighborhood all the time on my bike, but will have to take the time to ride through it. I love that the old Avent Ferry roadbed remains. When I went to Cardinal Gibbons, I use to sneak down to the “Old” Avent’s Ferry Road and smoke cigarettes. I always wondered why that road was there. Thanks for clearing that up. Denise – Yes, that is your house! NCSU — I also used to ride by, but never drove into the neighborhood. It’s amazing how many folks pass it by and never take a look. As for sales — everyone who leaves already has someone lined up! I haven’t seen a For Sale sign in the several years I’ve know about the place. D — I’m glad I could clear up the mystery of your favorite smoke spot! It does seem like a great place to sneak away. I love this Phil! So much history to take in and digest. We need to do some oral histories, too, from Jim David and the Yates, since they grew up here. This is such great info to have – thanks for sharing it! I found this article interesting and was motivated to do some research of my own to keep my mind off scratching my tick bite. I turned to Hill’s Raleigh City Directory. 1940-1941 saw a building boom in the neighborhood. That’s it for my transcription. FYI: Raleigh City Directories are on-line through the 1950’s if anyone wants to see more. What proof do you have the Bilyeu was in fact Avent Ferry? Is that at Records and Deeds? I ask because I see old maps, pre 1930’s that show Avent Ferry cross pullen and match up with Park Ave, not Ashe. Then it matches up with Ashe, then when Bilyeu was developed, Bilyeu matched with Ashe and Avent was terminated before Western. IOW, where did you see that Avent was moved to it’s current trail location? Thanks! At this point, I don’t know exactly when, but here’s the brief story from my research. If you look at the Book of Maps for 1924, page 92, you’ll see that BW Jones sold the land for my neighborhood to HA Carlton. The boundary lines for the tract are all State Hospital lines, except for the one that is Old Avent Ferry Road (now Bilyeu). The deed for that transaction also lists that property line as Old Avent Ferry. It’s not until HA Carlton’s 1925 map, which I showed in the post, that we see “Bilyeu”. Also, I’ve looked through deeds for the Bilyeu property, which was sold to the Catholic Church, and all those deeds use Old Avent Ferry as that property line. Also, the CL Mann maps (https://rod.wakegov.com/index.aspx?page=239) for the area refer to Bilyeu as Old Avent Ferry, sometimes even after Carlton renamed it circa 1925. I was confused by that property line for many months, as I was assuming it was the Old Avent Ferry that is now connected to the greenway. That just didn’t match up with the property lines. 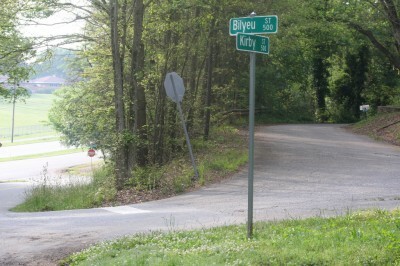 When I discovered that Bilyeu was once part of Avent Ferry, it all made sense. That said, I’m not sure exactly how Park Avenue and Ashe Avenue used to intersect with Avent Ferry. It’d be great to see some of the maps you referenced. Thanks for your comment! Regarding the high number of lots compared to actual structures – as I understand how urban land was divided up for development in the past the lots were deliberately made narrow with the rule that a minimum of (2) adjacent lots needed to be purchased but one could buy more as long as the minimum rule was maintained and no “orphan” singletons remained. In poorer areas of town single lots were permitted and that accounts for the shot-gun homes one still sees scattered about. That green house pictured above was for sale in the mid 2000’s. Always wanting to live in that neighborhood,so I looked at it twice. It was on for 90K. It was in near condemned condition. I am happy to see it so well restored. With regards to Avent Ferry. I have it on good authority that the spur from today’s intersection with Centennial up to Western was indeed built in the early 1950’s. 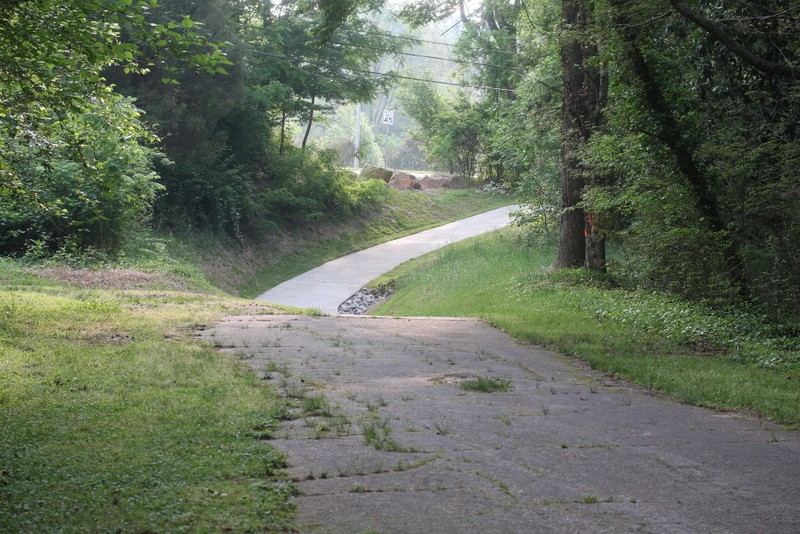 At this time it was called “West Avent Ferry” and the roadbed that is now part of the greenway was still used at just “Avent Ferry” for many years after. Thanks so much for the comment! Yes, the green house looks wonderful these days. 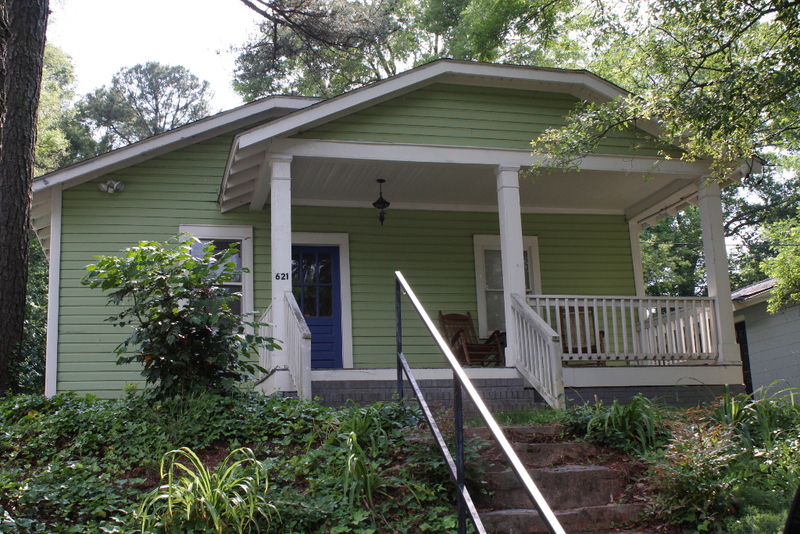 From what my neighbors have told me, Pullen Park Terrace has seen a few ups and downs. Right now, we’re in an “up”! Also, I’m glad to see that your “good authority” lines up with the evidence I’ve found so far. Thanks for reading! Bill, I was equally floored! In fact, my wife and I were up on the Dix property a few months ago and saw a newly cut willow oak. We counted abotu 52 rings, which would put that large tree at somewhere in the 1960s! 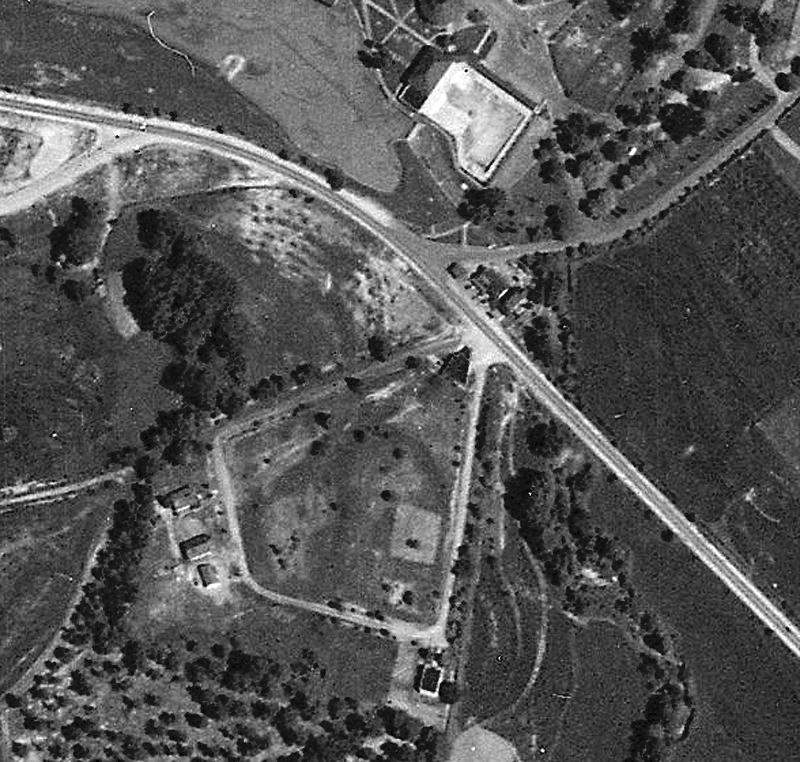 If you look at the 1938 aerial, you’ll see very few trees. I was impressed by how wooded the neighborhood has become in a relatively short time. I came across this post while trying to figure out some information about this same area, and I though you might be able to help me out. In the newer photo of the intersection in your post, there’s a large open area in the center. I drive past that intersection every day, and I always notice two wooden contraptions in the area where that field is. Upon doing a search on Google Earth, I see the remnants of what looks to be a race track (running? horses?). There is a strip of concrete to the south of the track, and the wooden structures are at each end of the strip. The coordinates are 35°46’40.3″N 78°39’40.8″W. Any clue what was there? Great question! 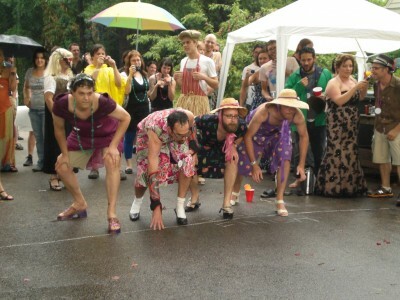 When I moved to Pullen Park Terrace, I asked my new wife the same thing. She says those structures held guide wires for the visually impaired students at the Governor Morehead School for the Blind. I think she said she had seen kids out there in the field playing games and the like. Apparently, they had wires to help them stay on course. I don’t have any proof to offer, but it does seem likely that it’s an athletic field for the school. Great read! Thanks for sharing your historic research info, Phil. Wow, thanks for your research. I just had my first visit to the Dorothea Dix grounds this weekend with a photography group. The place is amazing! On a Saturday, the place almost felt like a ghost town, and yet is very near all the hustle & bustle on all sides. I came across that iron gate on Bilyeu St with an empty lot behind it, and was dying to know that history. I’m glad to know I guessed right and it was a Bishop’s home! I’m still trying to track down more information about the Dix buildings. I see the Council building in the area photos, but so far I haven’t been able to find out what it was used for. Any ideas on where to look? A book: Haven on the Hill by Marjorie O’Rorke details the history of Dorthea Dix Hospital, including the buildings.